Another weekend rail strike. A friend of mine, who I have not seen for nearly twenty years, recently started working with me at my workplace for the busy Christmas period, after losing her job at the Marks & Spencer warehouse on the Grange Industrial Estate near Birchwood. Originally from Manchester, she moved to Birchwood in 1979 telling me of her happy days spent living in the New Town which, in synchronicity, saw the reopening of the exhibition ‘Days of the New Town’ by Susan Fitzpatrick in the local art gallery. A mix of deadpan photographs and local’s photographs the exhibition can be read as either art or peoples’ history, and with just a basic written overview leaves it up to the viewer. Built on the cusp of Thatcher’s ‘Right to Buy’, Birchwood seems the last of the Utopian Modernist dream. The Park Ranger Service encouraged locals to volunteer, but never provided any training skills or job opportunities. 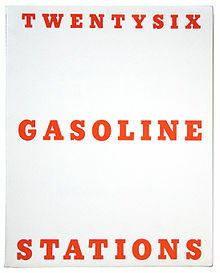 A deadpan photo of a Fine Fare garage catches my eye reminding me of Twenty Six Gasoline Stations by Ed Ruscha. Leaving the exhibition I head to the Beehive car park remembering my walk from last year when I was standing in the same spot watching the last of the Market being demolished to make way for the Time Square project currently on track to open in 2020, at a rising cost of an estimated £139 million for the new stakeholder capital multiplex cinema complex and council offices. It is a strange feeling: with the empty run down shops of the past on one side and the steel frame of the future buildings on the other, it heightens the senses to the psychic rhizomes. ‘No Deal Brexit’, government cuts, increasing homeless. An online Short, Sharp, Shock, and the Black Friday curse, as shoppers demand heavy discounting causing heavy competition and lower profit margins. Shares in Asos plummet by 42%. In a week’s time a homeless person being cruelly taunted by a gang of youths as he lies outside a shop front is filmed on a mobile phone. A future built on the foundations of austerity. Approaching the skittles in the centre of the town a pop-up market is underway. I get attacked by an armchair quarterback, a cybernetic cowboy preaching at me like he's written the golden rule. A sidewalk supervisor, a frustrated artist, he is trying to force his narrative onto me on social media: I must buy ‘local’, support the town, save the High Street: some businesses have been here for over 100 years he tells me. But I don't want to buy anything. After a three day thread of online comments he finally goes away. A man on stilts dressed as a tree wanders past, the City of Culture is on the back burner - this is Brand Warrington. Food, drink, fridge magnets and spiritual healing! It feels like a ghostly apparition of Tony Blair's Millennium Dome appearing in drizzly Warrington. Inside the Golden Square Shopping Mall Father Christmas arrives whilst shoppers drink coffee whilst Arcade Fire’s song ‘Everything Now’ plays through the speakers in stores as 'The Folk of Warrington' satire page vanishes from Facebook. £500,000 to restore the Golden Gates outside the Town Hall, whilst the homeless shelter is under threat of closure. Two weeks in the future funding is found for the shelter up until May. Sat in the semi darkness of the workplace canteen, boxes full of donations for the local foodbank on the counter. We brace ourselves for another night of Christmas peak period parcel sorting. 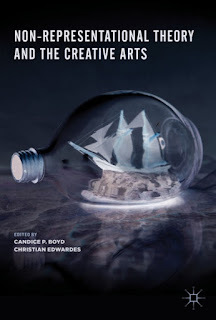 Edited by Candice P. Boyd and Christian Edwardes, Non-Representational Theory and the Creative Arts will be published by Palgrave MacMillan in 2019. 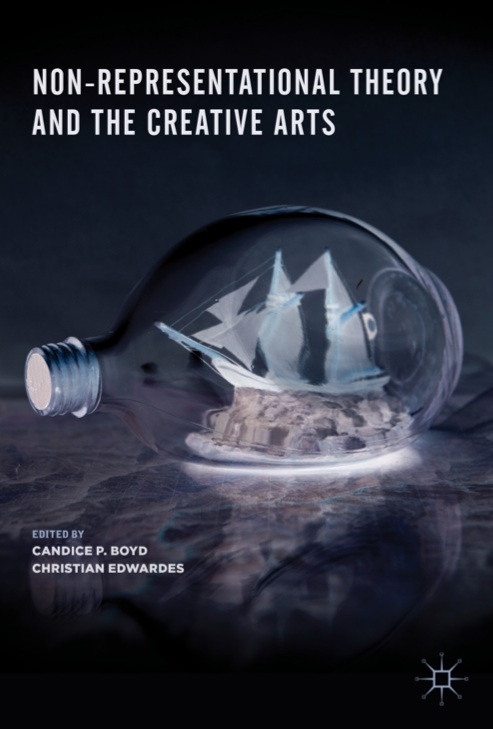 This book presents distinct perspectives from both geographically-oriented creative practices and geographers working with arts-based processes. In doing so, it fills a significant gap in the already sizeable body of non-representational discourse by bringing together images and reflections on performances, art practice, theatre, dance, and sound production alongside theoretical contributions and examples of creative writing. 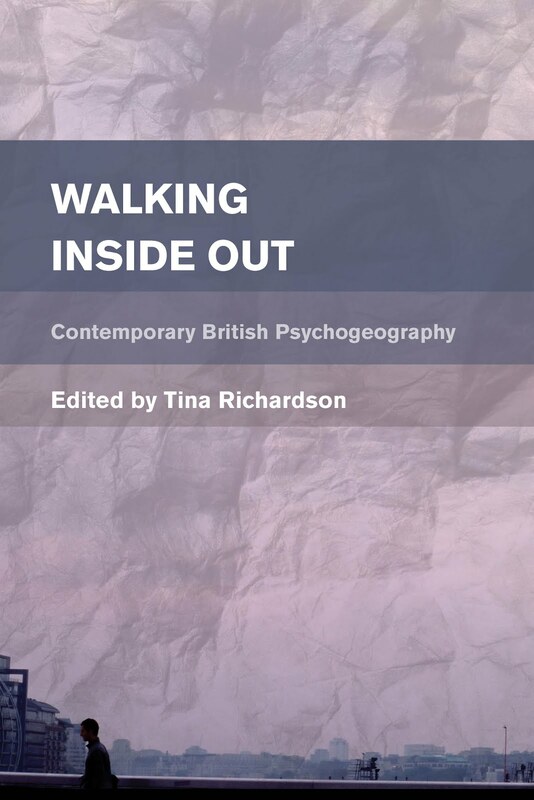 It considers how contemporary art making is being shaped by spatial enquiry and how geographical research has been influenced by artistic practice. It provides a clear and concise overview of the principles of non-representational theory for researchers and practitioners in the creative arts and, across its four sections, demonstrates the potential for non-representational theory to bring cultural geography and contemporary art closer than ever before. Weaving together tales by scholars and practitioners, Non-representational Theory and Creative Arts is an important and timely contribution to the ongoing dialogue between cultural geography and creative art practice. Ambitious in scope, varied in style and innovative in format, the collection takes the reader on a compelling journey through stitches and studios, trees and art installations, water streams and ruins, geothermal vapours and musical tunes. It pushes for new tropes and vocabularies to talk about familiar and unfamiliar atmospheres, places, gestures, and all that stirs and eludes the human senses and imagination. Over the past fifteen years, non-representational theories have become central to the social sciences and humanities, inaugurating new ways of conceptualising and approaching the world. Featuring a multidisciplinary range of contributors who have been at the forefront of non-representational styles of thought and research, Non-Representational Theory and the Creative Arts is unique for its sustained and experimental engagement with the practices, styles and techniques of research that non-representational theories invite and offer. As such, it will become an invaluable resource for researchers hoping to learn new ways of encountering and presenting the world. How might we envision a geography in the making, in the moving? With thought-provoking contributions that activate the affective force of the geologic, Non-Representational Theory and the Creative Arts explores the thresholds that move geography beyond representation toward its creative force. 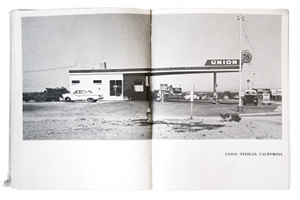 Entering the space of encounter, this book tests the limits of writing in a field that has always explored what lurks at the interstice of line and fold.